Michael Quest available for Corporate Events, clubs, fundraisers and parties. 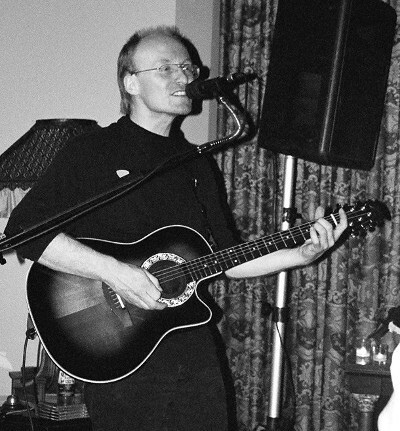 MICHAEL QUEST IS A SOLO ARTIST WHO WRITES, PRODUCERS AND PERFORMS HIS OWN MUSIC AS WELL AS PERFORMING LIVE AS A 'ONE MAN BAND' FOR EVENTS AND PARTIES. USING HIS GUITAR SKILLS HONED OVER 30 YEARS, A BRILLIANTLY PROGRAMMED DRUM MACHINE AND POWERFUL VOCAL RANGE, MICHAEL MANAGES TO SOUND LIKE A FULL SMALL BAND BELTING OUT STYLES SUCH AS BLUES, ROCK AND COUNTRY. MICHAEL PREFERS A NICE STAGE, BUT SAYS HE IS GLAD TO SET UP IN A SMALL CORNER IF IT'S A GOOD PARTY!